Why Choose Easy Living Solutions? When our staff visit you at home they will always be wearing a uniform, a purple tunic together with an identification badge which contains a photograph so that he/she is easily identifiable to you. They will always knock and not try to gain entry without your permission. Staff who are entrusted with the keys to your home will never allow this key to be passed to a third party. If entrance is via a key safe, the number will be kept confidential and again not passed on to a third party. At no time will partners, children, friends or pets accompany a worker into your home. "...home is where your heart is, it's our aim to keep you there..."
We provide a quality client centered service that works with the client to make sure the services are provided according to needs. 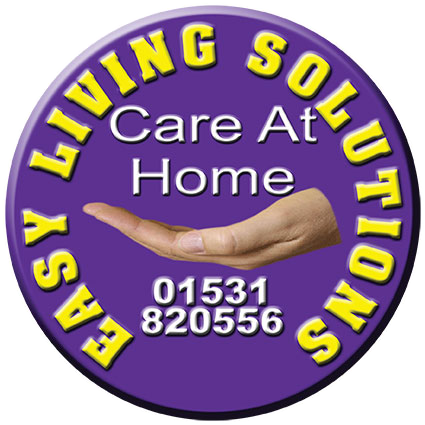 About Easy Living Solutions Ltd.
Easy Living Solutions Ltd provides home care and support for elderly people in Gloucestershire. We provide quality individual support to each of our clients in their own home environment. According to need we are able to provide a tailored package of support.